Need to get away from it all and find your writing Zen? The city hosts their annual Winnipeg International Writers Festival each fall. This is when a flood of writers descends upon the city to learn more about the craft and hear readings from esteemed peers. Not every single person is writing angsty poetry. Nope; they’re writing bestsellers. When you’re single, you can spend all day amongst beauty and never feel rushed. 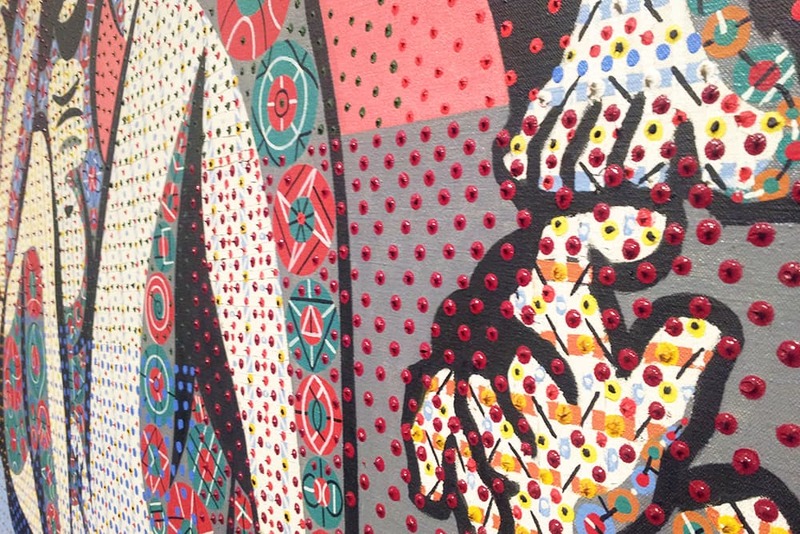 Experience rows of intricate patterns and pops of colour when you visit the Winnipeg Art Gallery. The centre is the sixth largest art gallery in the country, and features a wealth of exhibits on Inuit sculptures, regional photography, and modern interests like skateboard culture. Museums: Not just great for the Winnipeg dating scene; wonderful for everybody. As Donna and Tom would like to remind you: It’s important to treat yo’self every now and then. As it so happens, the city has amazing spas where you can get all those knots and stresses kneaded out of you. Pamper yourself in popular spots like Thermea Winnipeg, Riverstone Spa, and Urban Oasis Mineral Spa. Being single in Winnipeg never felt so good. Are you a yogi? Then you’re going to love Yoga Public. This is the largest yoga centre in Canada, with 4 yoga studios, lounging areas, and change rooms located inside. Whether you’re solo or dating in Winnipeg, this is a refuge for all. They offer just about any yoga style you’re looking for, such as Ashtanga, Vinyasa, and Hatha. Drop in for a class and find your chill. Whether you are female or know one, ensuring gender equality is an important issue still facing the world today. To help, FemFest puts on a series of plays written by women, directed by women, and performed by women. These tales deal with humour, strife, and everything in between. Aside from helping the cause, it’s a fun way to spend the time, regardless! Single is another word for awesome. When you’re spending your holiday in Winnipeg, you have all the time in the world to get to know the city on your time.